Really nice location! Beautiful raised ranch home. Beautiful hardwood floors in kitchen. Tons of vaulted ceilings. Many ceiling fans. Fireplace in the great room. Finished rec room and 1/2 bathroom in the basement. Deep garage. Lees Summit is located in Missouri. Lees Summit, Missouri 64081 has a population of 95,094. The median household income in Lees Summit, Missouri 64081 is $78,186. The median household income for the surrounding county is $46,917 compared to the national median of $53,482. The median age of people living in Lees Summit 64081 is 37.2 years. 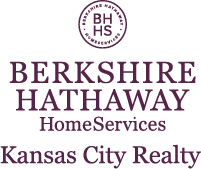 I am interested in 1440 SW Highland Drive, Lees Summit, MO 64081.